Hello and welcome back to Chapter Crafts. 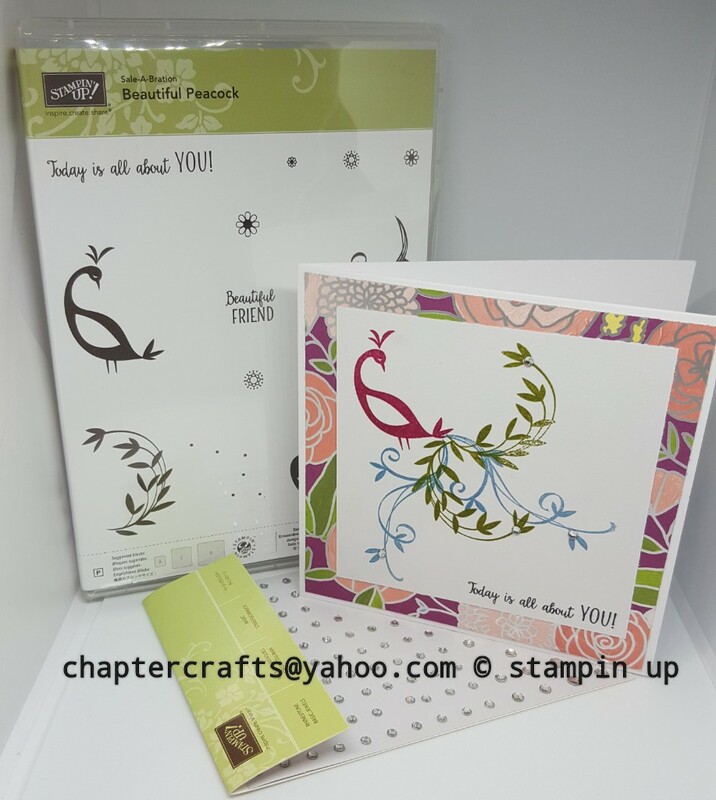 Good at I have a card using the free sale.a.bration stamp set beautiful peacock from Stampin up! 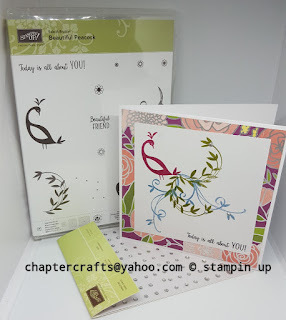 I love this stamp and will be doing more projects in the coming weeks. First you need a whisper white card stock cut to 9 7\8" x 5" scored @ 4 15\16"